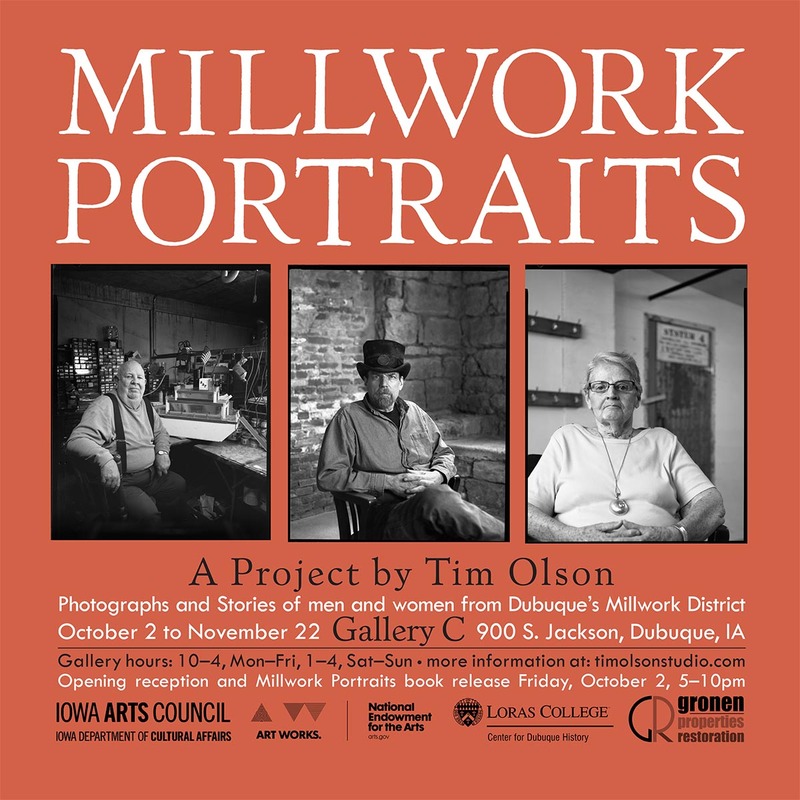 In 2014 Tim Olson photographed and interviewed over forty men and women who once worked in Dubuque’s Millwork District. An exhibit of the photographs will run from October 2 to November 22 at Gallery C, 900 South Jackson, in the Millwork District. Millwork Portraits, a book containing twenty-five of the photographs and interviews will be released October 2, 2014. Support for Millwork Portraits provided by the Iowa Arts Council, a division of the Iowa Department of Cultural Affairs, and the National Endowment for the Arts. Additional support provided by Gronen Restoration and the Center for Dubuque History at Loras College. To see individual interviews and larger versions of the photographs, click on the thumbnails below. No, that is the only photo I took there.